Gay Mexico Map is the most comprehensive and most popular information source for LGBT places throughout Mexico. 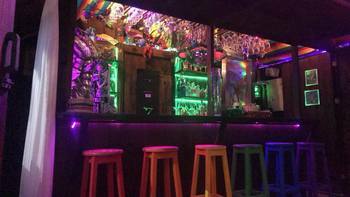 Potential customers looking for bars, discos, hotels, bathhouses or more will come here first as Gay Mexico Map is #1 in Google searches for many related searches. We have a comprehensive map of Mexico with all places listed, the most complete and up to date information pages on topics such as safety, hooking up and much more. With over 25,000 monthly unique visitors, Gay Mexico Map is the best value in advertising for businesses seeking gay, lesbian and bisexual customers! By supporting the site by purchasing additional cost items, you are also enabling us to do more promotional activities which pull even more people into the site who then become customers of our businesses in the community. • Featured listings appear before all others well as repeated in their regular category before other listings). • Featured listings are featured most prominently on category pages such as the lodging page and get up to 10 additional photos in a photo gallery on their detail page. 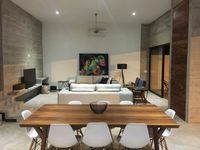 Feature your listing for only 2990 MXN a year. If your business is already listed on the site and you would like to upgrade it or renew your current upgrade, please visit our upgrade listing page. If your business is not yet listed on the site, please fill in our new listing form. For businesses outside of Mexico or who do not qualify for a listing and who would like to advertise to LGBT visitors to Mexico we can also offer display and text link advertisements customized to your needs. Please contact us for further details at info@gaymexicomap.com. For businesses within Mexico who have already upgraded to a Gay Mexico Top Picks and would like additional exposure, we can also offer display advertising or other promotional opportunities. Please contact us for further details at info@gaymexicomap.com. 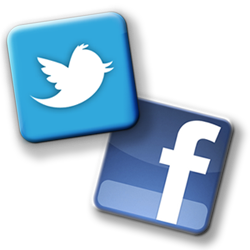 Do you have a special event or promotion you'd like to get attention for or do you want to increase the followers on your own social media pages? We also administer the Gay Mexico facebook page which is very active with over 60,000 highly engaged followers and also an active Twitter feed. Please contact us for further details at info@gaymexicomap.com if you would like information on having us post your event or promotion. Note that Gay Mexico Top Picks listings receive 4 free social media posts per year and weblink/photo listings receive 1 free social media post per year included with their listing upgrade. For other businesses or for additional posts a fee will apply.